The wonderful kitchen contraption taking the world by storm is the Instant Pot. Take your mother’s crock pot, super charge it, and you have the one stop appliance that will make you neglect all other cooking devices in you house! 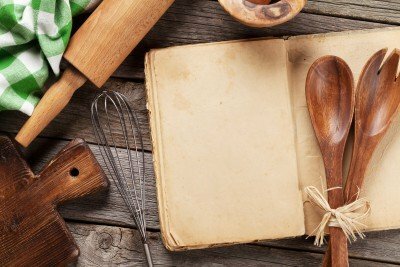 Here are a few quick, easy, and unique recipes to try out. Who would have thought you could make desserts and sweets in a pressure cooker? This ooey gooey recipe uses cinnamon swirl bread to give it more flavor. This is a perfect dish to serve at brunches or weekends when you have guests staying at your house. Imagine how happy your guests will be when they wake up to yummy cinnamon smells. This recipe should be your go-to Chinese food at home hack. You end up with the most delicious and juicy beef and broccoli dish you’ve ever tasted. Only taking 20 minutes to cook, it’s faster than any take out. This dish is also a super healthy option since there is a lot less sodium and oil than its restaurant counterpart. Set-it-and-forget-it Italian might be your new favorite dish, especially since this one you can completely customize. Just like creating your own personal pizza with all the right toppings, the options are endless in this recipe. You can even add pineapple and spark a very healthy debate with your dinner guests. People usually shy away from baking because it takes a lot of precise measurements and attention – otherwise, your creation might turn into the next episode of Nailed It. Take the guess work out of baking and let your friend Instant Iggy be the patisserie chef. The best part of this recipe is it’s only two ingredients and one is a box of cake mix. It could be five ingredients if you really want to get fancy and advanced to make the glaze on top! Who doesn’t love more easy Italian recipes? A creamy alfredo recipe is a favorite comfort food that everyone loves and it will transport you right to the heart of Italy. The chicken gets pumped full of flavor with all the ingredients swirling around in one big pot. Most crock pots are synonymous with cooking meats and stews. The great thing about these recipes and the Instant Pot are the limitless options and delicacies that await you. Every night can be a different cuisine in your kitchen with easy cooking and easy cleanup!